Esports, and other games : Kaira dominates official HearthStone rankings. Kaira Gabrielle Pinard (Valhalla) - ranked number 1. 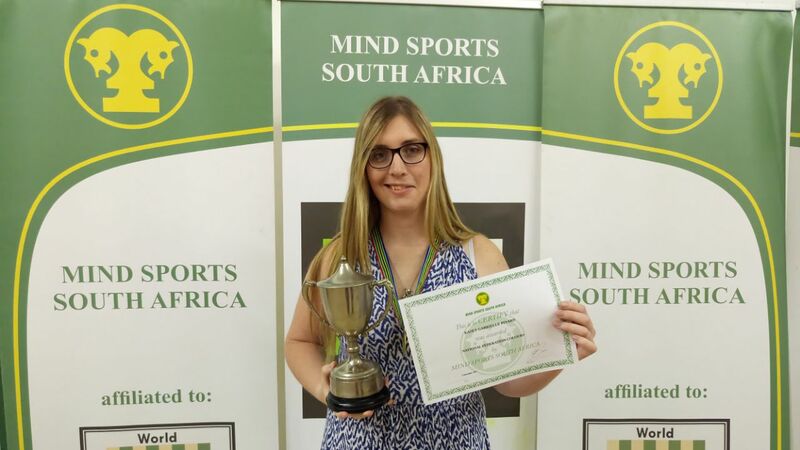 For the first time ever in the history of Mind Sports South Africa (MSSA), a female has reached the position of being the top ranked player in any title. So it is that Kaira Gabrielle Pinard (Valhalla) has shattered all conventions and and grabbed the number one position. There is no doubt that Kaira performed exceptionally well at MSSA's 31st SA National Championships (SAN) that were held on 2 & 3 December 2017. It was at such championships that Kaira won each and every game that she played in the HearthStone championships. Such standard of play earned Kaira not only the title of SA National Champion, National Federation Colours, but also the top ranking for such esport.